Are you struggling to identify the best handheld police scanner for your needs? 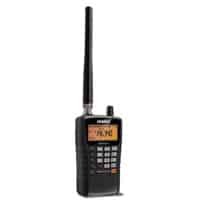 This is a complex market that is easier to maneuver if you have some technical knowledge, but we're here to guide you even if you have limited experience with scanners and radios. The market for handheld scanners is growing quickly, and we know that it's difficult to compare features and find a quality product within your designated price range. This guide was designed to give valuable information about the buying process, and we'll introduce you to five of our top picks. 3.2 What Frequencies Can You Pick Up? Finding the best handheld police scanner doesn't have to take hours, days or weeks. Spend a bit of time with our detailed police scanner reviews, and you'll find the perfect scanner for your needs quickly. We consider the Uniden BCD436HP a high-quality handheld police scanners because it is so user friendly. You won't need extensive technical knowledge to make this scanner work, and you can even use it straight out of the box. More extensive software programming is available but not required. If you're interested in a scanner that is plug-and-play, just order the Uniden BCD436HP and put in your zip code for fast access to your local police scanner frequencies. It's a bit heavier than some competing scanners, but you can still take it anywhere that you go. The batteries should last up to eight hours. You can also program your favorite frequencies into the scanner for tuning later. If you're interested in local weather reports, you can pick those up with this scanner as well. The Uniden BC75XLT is another affordable scanner that still offers enough to make our list of top-rated handheld police scanners. 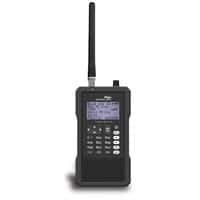 While many scanners will only connect to nearby frequencies if you already have them programmed into your unit, this one will automatically connect with all frequencies regardless of what you have programmed. If you're primarily interested in scanning your local police, fire and emergency services, the Uniden BC75XLT handheld police scanner will simplify the process. It comes with some buttons that are pre-programmed to pick up these common frequencies, allowing you to instantly connect with your nearby emergency services. 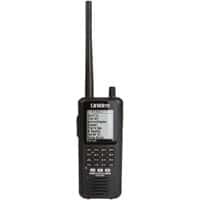 You may also consider this a good handheld police scanner for your needs if you intend to connect it to your belt. It weighs just over 14 ounces and won't weigh you down. The compact design also makes it perfect for slipping into a day bag or purse. If you're purchasing your first police scanner or you have a limited budget, we would recommend Whistler WS1010 as the best handheld police scanner. It weighs less than eight ounces and sells at a price that most buyers can afford even if you don't have time to shop around for a good sale. Since the list of frequencies available today is extensive and you can spend a lot of time sorting through them to find what you want to hear, the lockout feature on the Whistler WS1010 is amazing. It blocks some frequencies so that you can get to what you want much faster. If you're waiting for activity to resume on a specific frequency, you can use the priority scanning function to automatically check it every two seconds. You can still scan and listen to other frequencies while the scanner checks your priority frequency. If you don't like that some scanners flip between frequencies quickly, use the delay feature on this unit. It will stay on each scanned frequency long enough for you to hear what's happening before moving on to the next. 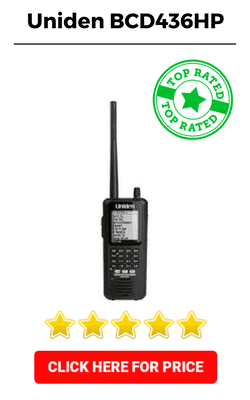 If you can afford to spend more than $300 on a handheld police scanner and you want to scan more than your local police department, you can't go wrong with the Uniden BCD325P2. 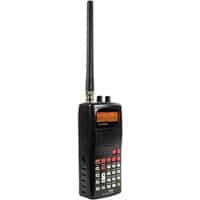 It connects with the latest APCO Project 25 phase II systems as well as some Motorola frequencies. We're also impressed with the Uniden BCD325P2's ability to scan through and sort more than 20,000 channels. If you're interested in picking up as much digital content as possible, this is a good scanner to have in your hand. It's also worth mentioning that this police scanner has some advanced features that you won't always find on the lower-priced models. For instance, you can allow the scanner to automatically detect all frequencies in your local area. This will allow you to make the most of your scanner without wasting a lot of time manually searching for channels. The Whistler TRX-1 is the most expensive police scanner to make our list, but we believe that the features are worth the investment for many users. 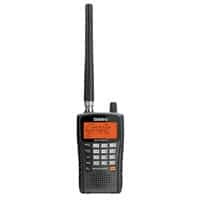 In addition to scanning for police and other emergency activity, you can use this radio to connect with Motorola and analog frequencies. We also appreciate that the Whistler TRX-1 is easy to use right out of the box. You can quickly add your zip code, county or state to access frequencies in your surrounding area without going through the more extensive software programming process. This Whistler police scanner comes with a microSD card that has programming for the United States and Canada already loaded. If you do want to access more features through advanced programming, you can buy the software separately. It's important to note that this is a trunked scanner. This means that it collects channels into groups, which are referred to as trunks, rather than scanning all frequencies individually. Trunked channels are called objects, and this unit will scan up to 1,800 objects simultaneously. Handheld units are among the most popular police scanners on the market today, so you will have many options when shopping. Each radio comes with different features, but don't worry if you have little to no technical knowledge. This guide was designed to help you make an informed buying decision. Handheld scanners are often cheaper than base or vehicle-mounted scanners. Your handheld unit can go anywhere that you go, including across state lines. Lightweight handheld scanners are often easy to strap onto your belt for maximum portability. Handheld units are the best option if you drive locally, regionally or nationally for work. Portable radio scanners are easy to move from room to room, so you're not limited to use in one area of your home or office. What Frequencies Can You Pick Up? 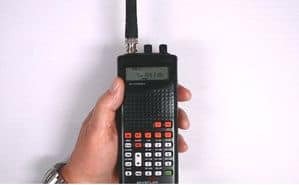 Many people buy police scanners because they want to listen to radio activity put out by their local police stations, but you can also pick up a lot additional radio activity when you invest in the best handheld police scanners. For instance, most police scanners will also allow you to listen to transmissions from your local fire stations and EMT services. Some will automatically connect to weather reports and frequencies used by local storm chasers, so you may know about bad weather before it's even reported on the news. In some cases, a powerful scanner will give you access to activity from the railways and air traffic control. Not everyone needs that level of access, but it's available if you're interested. Once you have your police scanner, you will quickly realize how complex it is to operate. This is partially due to the difficulty of programming the scanner to take full advantage of all features, but it's also due to the number of frequencies out there today. You can buy frequency books that will tell you about many of the frequencies available, but there are many that haven't been detected or that just aren't in the book. This makes a scan feature invaluable. It will scan for all frequencies within a given range of your current location. Memory is also important because it allows you to store your favorite frequencies for fast tuning at a later time. You may also want to look for a radio that will record a frequency and then play it back if you miss something important. 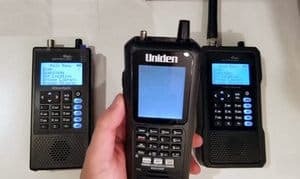 After considering all of the scanners reviewed for this guide, we would recommend the Uniden BCD436HP for anyone interested in a functional police scanner that comes with some convenience features. While it is one of the more expensive options, it's also the easiest to program and use. If you can't afford that unit, then we would recommend the Uniden BC75XLT for its low price and impressive features. Selecting the best handheld police scanner is a personal matter, and we hope that the information in this guide helps you make an informed decision.